We make our own Speculoos cookies and steep them in cream for two days. That’s it and bam… you have an amazing cinnamon shortbread ice cream with a little cookie viscosity to add to the texture. We use only pistachios in this ice cream. Most “pistachio” ice cream is at least 50% almond flavoring. Not ours, it’s all California Pistachio with pieces of roasted pistachios and a hint of black pepper that really makes the flavor pop! Fresh banana ice cream made with our homemade dark brown sugar…heaven. Try this with our Nutella cream sauce!! Eat it and you’ll be 8 years old again! Topped with crunchy bits of cinnamon toast crunch cereal, it’s breakfast for dessert! 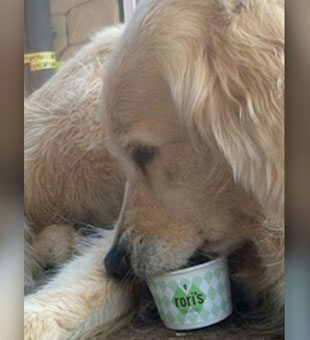 Named after Rori’s dad, this is a rich espresso ice cream with a hint of smoky smooth bittersweet chocolate flavor. Never has mint tasted so fresh! We cold steep the mint for 2 days in the cream so it tastes just like it’s been picked from the garden. We make our own mint patties dipped in Belgian dark chocolate. We make house made honey almond brittle and break it up into our honey ice cream both made with San Marcos Farms honey, insane! This is a bright, creamy, refreshing ice cream that’s not too sweet. Tiny flecks of lemon zest and a touch of butter really give it the taste and feel of real lemon curd. Malt ice cream mixed with old fashioned malt balls creates this nostalgic favorite. Kids and grown ups love this one! Hazelnut-arama! Nutella ice cream with swirls of our Nutella cream sauce. Fresh strawberry ice cream made with cream cheese mixed with house made graham cracker crust makes this the next best thing to living in NY eating Juniors famous cheese cake. Nothing shows your Valentine how much you care like creamy, tart passion fruit ice cream! How corny is that! Peanut butter ice cream with house made chunky peanut butter dark chocolate candies and a peanut butter cream swirl. The mecca of peanut butter lovers! This dark rich chocolate ice cream is made with organic coconut milk instead of cream. It took a long time to create the exact flavor where the root beer and the ice cream meet in a float. But we’re here to tell you we did it!!! Sassafras and birch is the base combined with vanilla…perfection! No caramel flavoring goes into this ice cream. We make our caramel with organic sugar until it reaches a deep amber color then we add in Maldon sea salt. This is by far our best seller and you’ll see why. We’re not kidding…it’s seriously dark. We use 72% Belgian dark chocolate and French dark cocoa creating a rich creamy and slightly smoky flavor of the best bittersweet chocolate. 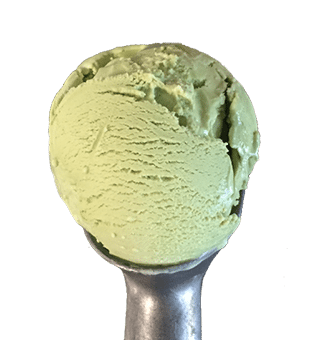 Tahitian vanilla beans are what gives this ice cream that deep intense vanilla flavor. We cold steep the beans for 2 days to create the smooth silky not-too-sweet flavor that has made this a Rori’s favorite. Our mix of seasonal berries blended into this creamy smooth ice cream, sprinkled with dark chocolate covered rice crispies.